Zylana pearl Types | What are the characteristics of different pearl types? What are the characteristics of different pearl types? NOTE: A black body colour doesn’t naturally occur in freshwater pearls. The so called “black freshwater pearls” are always colour-treated. High quality freshwater pearls are allowed an average culturing period of 2½ years before they are harvested. In general: the longer the culturing period, the thicker the layer of nacre which contributes to the pearls’ quality. Most available akoya pearls available in the market have a white body colour with a light yellow, pink or silver grey overtone. 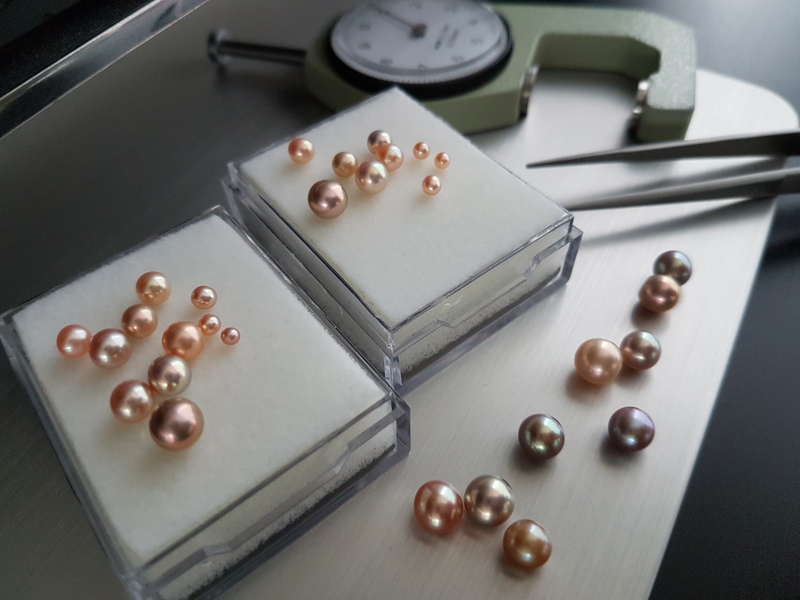 Only about 3% of all akoya pearls has a natural gold or blue colour. One feature that is typical to high quality akoya is a very high luster. Akoya pearls are generally fairly small with an average diameter of 6 to 8mm. South Sea pearls are known for their luxurious, opulent and powerful appearance. They generally display “harder” colours and bigger sizes than freshwater pearls, which makes them guaranteed eye-catchers. 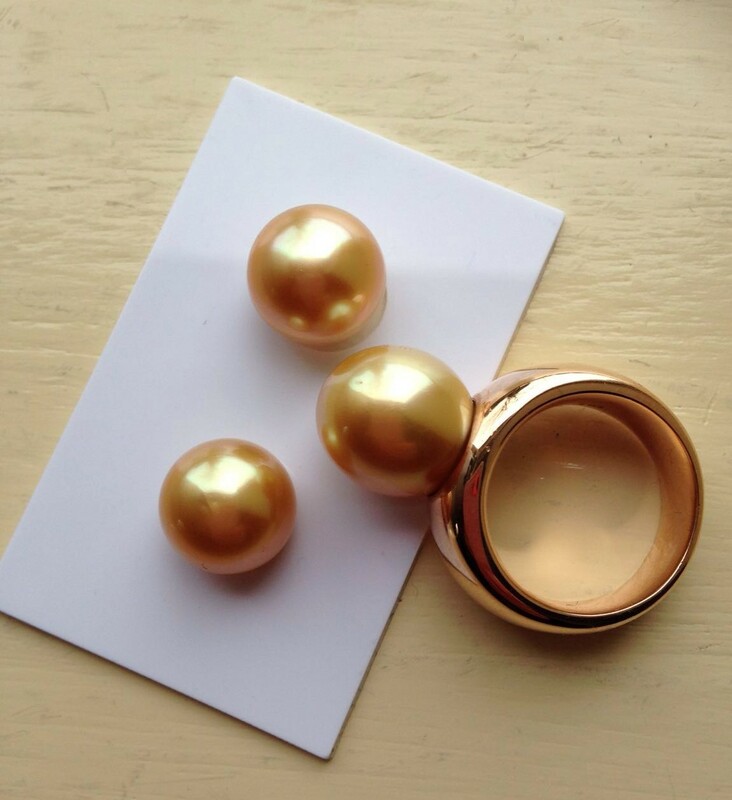 Gold and perfect white are typical South Sea pearl colours. Gorgeous but rare are white South Sea pearls with a natural blue overtone. The name “South Sea pearl” refers to the fact that these pearls are cultured in regions south of Japan. Important localities are the coastal waters of the Philippines, Myanmar (Burma), Indonesia, Thailand and Australia. South Sea pearls tend to be quite a bit larger than traditional Chinese freshwater pearl types with diameters that can go up to 20+ mm. Their size, plus the fact that (contrary to the traditional Chinese freshwater pearl) only one pearl per mollusc can be cultured, results in a price range that far surpasses traditional Chinese freshwater pearls. Tahitian pearls are the true “black pearls”. Colours that vary from deep black, grey and white (from albino molluscs) to rare grass green can be seen in Tahitian pearls. 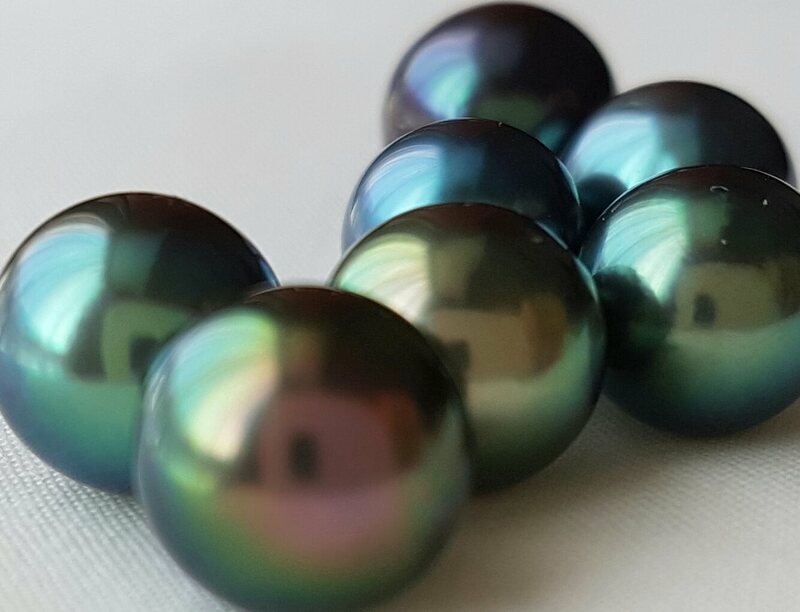 But what the Tahitian pearl is truly famous for are the “peacock” colours: the oil-like play of colour with beautiful purple, green, red and blue overtones that compliments the basic body colour. Like South Sea pearls, Tahitian pearls are saltwater pearls and are generally bigger than traditional Chinese freshwater pearls. The Tahitian pearl can also only be cultured one pearl at a time per mollusc. Contrary to what the name might suggest, Tahiti isn’t the place where these pearls originate from. Tahitian pearls are produced in the coastal areas surrounding the French Polynesian islands. Tahiti is only the commercial hub from which these pearls are distributed to other parts of the world.